I called Mr. Shirakawa as he suggested and found myself in his office a couple of days later. He quickly secured a job interview for me as a legislative assistant to legendary Latina councilwoman Blanca Alvarado. I had met her at the convention center just the week before. As the longtime city council representative who represented east San Jose, she was a household name at my parents’ kitchen table, so it was a surreal experience sitting in her office a few weeks later for the interview. The interview went well, so I was hopeful as I left the meeting. By mid-summer, more than two months after graduation day, I hadn’t heard back from the her office so I applied for jobs at the City of Santa Clara, the high school district, and an assemblyman’s office. No job offers resulted, and the familiar feelings of doubt and uncertainty about my abilities began to creep in. That fall, after two more months of anxious job hunting, the councilwoman, who had recently been named vice mayor of San Jose, offered, and I accepted, a three-quarter time position. The next three and a half years were an exciting time for me. After several months, I earned a full-time position as a legislative aide working on community development and controversial public art projects. In this capacity, I had the opportunity to learn about the public policymaking process, and the rough and tumble world of local politics. I worked tirelessly, never turning down an assignment or a night out at a political event. I had quickly become one of the vice mayor’s most reliable lieutenants. When her tenure ended due to term limits, she asked me to manage her campaign for the county board of supervisors. I was flattered, excited, and apprehensive as I had never even worked on a campaign, much less managed one. It was a hard fought campaign, complete with mudslinging from both sides and eighteen hour days, that wasn’t decided until the early hours of the morning after Election Day. I had taken myself to the limits physically, emotionally, and mentally juggling the responsibilities of managing the candidate, the press, campaign donors, advisers, and volunteers. After the early morning victory had been secured, I spent the next thirteen months in her office as a senior policy aide on the county board of supervisors. Within months of assuming my new position, I was itching to do more as the failure demons began sneaking back into my consciousness. I was thirty-two years old working as an aide to a local politician. In my impatient mind, it wasn’t good enough to erase all of the years I lost in my personal wilderness. The summer after Election Day, the supervisor sent me to Los Angeles to represent her at the National Association of Latino Elected and Appointed Officials (NALEO) annual conference where I attended workshops on campaign management, and media relations, and heard the mayor of Los Angeles, the governor of California, and United States senators speak on a national stage at luncheons and dinners attended by thousands of politicians, community leaders, and education leaders. I was fascinated and intoxicated by the power and influence that permeated throughout the convention hall so much so, that on the flight home, I had decided that I would pursue a career in politics. I was certain that the prestige of being a successful public servant would cast away my demons for good. That fall, I ran for a seat on the neighborhood school board, and despite running a solid campaign, I lost to a couple of longtime incumbents by a few percentage points. When I returned to my full-time duties working for the supervisor, I continued doing my job as my impatience to become successful began to rise and my confidence sank. 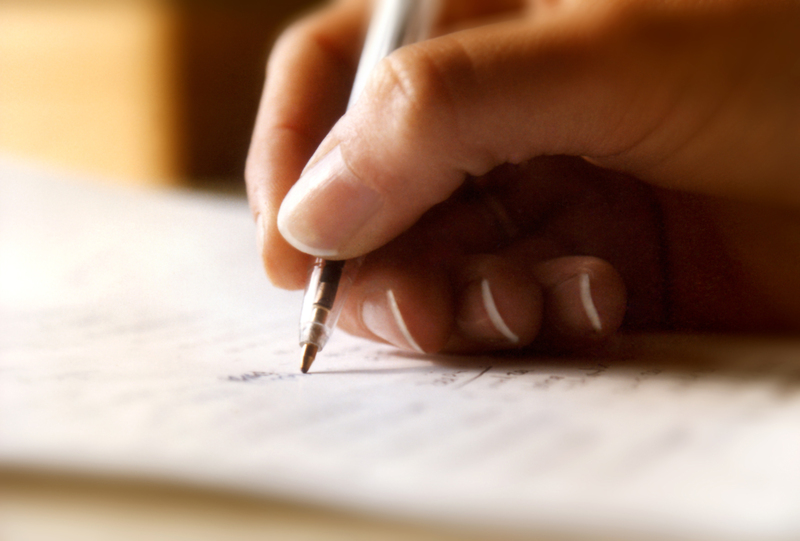 As I contemplated my future, I faced struggles in my personal life. Early in 1995, my mom suffered a major heart attack that required bypass surgery and my dad died of stroke at the age of sixty-nine later that fall after a series of heart attacks and strokes that began in his fifties. Those two events had a profound effect on me. My mom was the glue that kept everything together, so to see her in a vulnerable state heightened my sense of uncertainty. My dad provided the philosophical and practical foundation of my life, so a deep emptiness and an uneasiness of what the future would hold became part of my being. During this time, I began to pay attention to my own health and mortality, and developed an intense urgency to erase the disappointments of the past and achieve success before the fate of genetics cut my life short as well. I started to eat better and exercise on a regular basis, but I also began a pattern of working to near exhaustion. Kudos to NBA Players and Commissioner!! 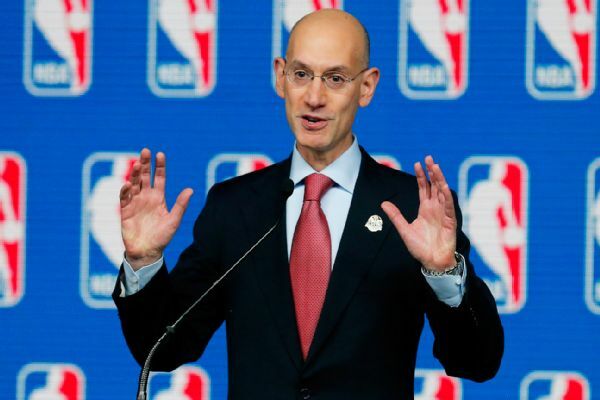 NBA players’ stand against Los Angeles Clippers owner Donald Stierling and NBA Commissioner Adam Silver’s lifetime ban on Stierling courageously puts racial bias in the United States on trial. I hope America keeps up this courageous conversation! Summer in the Waiting Room: How Faith, Family, and Friends Saved My Life is the inspiring story of a boy who grew up in a working-class neighborhood, failed at college and lost hope, met and married the love of his life, returned and finished college, raised a family, and found some success in business and public office. It’s also the story of a man who vowed never to fail again and worked tirelessly trying to redeem himself, only to find true redemption while in a state of complete helplessness in the ICU. To read past excerpts from Summer in the Waiting Room, click on“Summer in the Waiting Room” tag to the right. Before completing college and before Sandra and I decided to have a family, I threw the original plan of earning a teaching credential to the wayside, which would have taken another three semesters. With my dream of becoming a teacher subservient to my need to begin a career, I felt that I had lost too much time during the years I had stumbled through life trying to soothe the pain of my failures. Not sure what a twenty-nine year old college graduate with a history degree could do other than teach high school history, I wondered what direction to pursue and where the opportunities may be. Then fate stepped in. 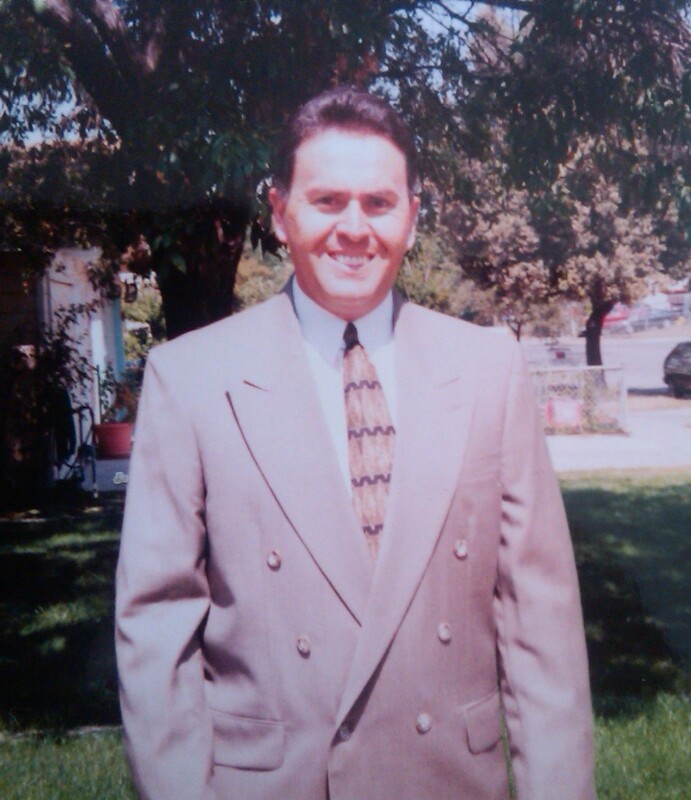 During the spring before graduation, Sandra and I were visiting her parents on a Saturday afternoon when a friend from college, Damian Trujillo, called to invite me to the 25th anniversary celebration for a local job training program. Damian was determined, hard-working, and ambitious; he worked part-time at KSJS, the San Jose State radio station, and dreamed of becoming a television reporter. I had taken some Mexican American Studies classes with Damian and we became friends when we worked together on the planning committee of a national academic conference the Mexican American Studies Department hosted at San Jose State. It was the first time I was part of a team that developed and produced a large conference that attracted people from throughout the country. Today, Damian is recognized as one of the most respected and well-known newsman in the valley. 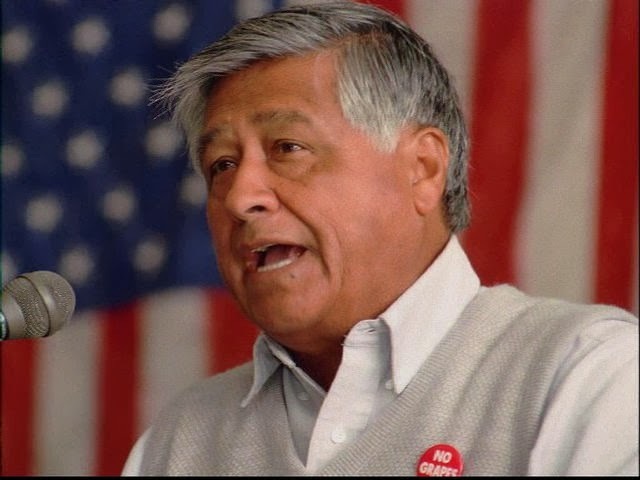 The featured speaker at the job training center anniversary event would be Cesar Chavez, the great labor leader and civil rights icon who found the United Farm Workers of America. Sandra encouraged me to go because her advisor in high school, George Shirakawa, Sr., was a city councilman who probably would be at the event and might be willing to advise me about getting a job at the city if I told him that I was married her. With nothing to wear, my old suits didn’t fit anymore and we didn’t have money or time to get a new one, I called Rudy and borrowed his only suit. Years later, at an event I had invited him to attend where he wore a perfectly tailored blue business suit, he would recount that I taught him that every man must always have at least one suit, just in case one was needed. Looking very much the politician in Rudy’s black suit with white shirt and red tie, I headed to downtown San Jose with Damian to attend the first political event of my life. The celebration, held in San Jose’s cavernous convention center’s main hall, was attended by the valley’s political glitterati. Feeling absolutely natural in that environment, I moved about the hall effortlessly introducing myself to everyone who looked familiar from television news and newspaper stories: the valley’s congressional representative, state legislators, a future San Jose mayor, and a city councilwoman who was the grand dame of Latino politics in Silicon Valley. I even approached Cesar Chavez himself and extended my hand in introduction. During the few seconds I spent shaking Chavez’s hand and exchanging cordial salutations, I saw the powerful yet humble determination in his eyes that made him a national civil rights hero. Even though it was clear to see that these politicians would forget our interaction the second I walked away, I was instantly mesmerized by politics that night. Toward the end of the evening, I finally saw the prize, the reason I decided to accept Damian’s last-minute invitation, Councilman George Shirakawa, Sr. He was walking quickly through the crowd with a small entourage that included his son George, a local school board trustee. Mr. Shirakawa was an admired teacher and counselor before entering politics, and George, Jr. was a popular high school athlete before his election to the school board. Together there were revered in their part of town in south central San Jose. I stepped in Mr. Shirakawa’s path, jutted out my hand, and introduced myself. He was a husky, gregarious man with a beaming smile, a booming voice, and a personality that filled the spacious hall. He was a wearing a black tuxedo with a colorful matching vest and bow tie. With the same distant look in his eyes as the other politicians I met, he shook my hand, said hello, and began to continue his march through the hall. When I told him that I was married to Sandra Peralta, he stopped in his tracks, smiled even bigger, and in that commanding voice told me that if I was married to “Sandy Peralta,” I must be a good man. He then handed me his business card, directed me to call his office on Monday, and disappeared into the crowd. Since September 2013, I’ve posted stories on different topics every Monday. On Wednesday mornings, I post excerpts of my manuscript of Summer in the Waiting Room: How Faith, Family, and Friends Saved my Life. I hope to publish Summer in the Waiting Room as a book, so I’ve decided to dedicate more time to finish the manuscript. With that in mind, I will no longer write stories and essays for Monday posts. In their place, I will add a new feature to East Side Eddie Report.com beginning on April 21st. The new feature, Quotes & Quips, will be a brief posting of inspiring, provocative, or amusing thoughts to start your work week. I would love to share your favorite lines, anecdotes, and sayings on Quotes & Quips, so please send them to me at eddie.m.garcia@comcast.net. Keep reading every Wednesday morning for regular installments of Summer in the Waiting Room: How Faith, Family, and Friends Saved my Life. Chapter 3: “Redemption” starts this week. I truly appreciate your support of East Side Eddie Report.com. I hope to keep you coming back for more. Thanks for reading!! Summer in the Waiting Room: How Faith, Family, and Friends Saved My Life is the inspiring story of a boy who grew up in a working-class neighborhood, failed at college and lost hope, met and married the love of his life, returned and finished college, raised a family, and found some success in business and public office. It’s also the story of a man who vowed never to fail again and worked tirelessly trying to redeem himself, only to find true redemption, while in a state of complete helplessness in the ICU. Every semester, the results of that term’s academic performance arrived in the mail on light blue computer paper, and term after term, an “A” would be recorded next each course I completed. I was on a mission. I stayed up later, studied more, and worked harder in class as the semesters went by. During the spring before my thirtieth birthday, I was still shy of graduation so I put myself into overdrive to get to the finish line. That semester I took seven classes, plus a required physical education class for a total of twenty-two units, an overloaded schedule that had to be approved by an advisor. It was a hectic term, and I earned a straight “A” report card again, then it was done. It was a bittersweet moment as I was relieved to have achieved my goal; but I still felt inferior and a sense of guilt for the earlier college failure, so I didn’t want to participate in commencement ceremonies. Fortunately, Sandra made me don the cap and gown of a San Jose State graduate. At the age of twenty-nine, just slightly ahead of schedule, I walked onto the football field at Spartan Stadium with 5,000 other graduates while our 30,000 friends and family members watched from the stadium seats. I was proud to have earned my degree, especially because my parents, who both suffered heart attacks in their mid-fifties, were healthy enough to celebrate with me. My bond with Sandra was stronger than ever, and the true meaning of giving unconditional love entered my consciousness for the first time. As I started working on a career and Sandra got settled in hers, we decided to have a family. I’ve always loved babies and kids so I couldn’t wait to have some of my own. Of course, with Sandra at the helm, we planned our family methodically; we would have two children, three to four years apart, regardless of the gender so we could provide them with enough love and resources to be successful. We would read to them while Sandra was pregnant and continue the practice until they became readers on their own, we would talk with them to build up confidence, and we would support their efforts as they grew. I wanted babies with chubby cheeks and beautiful eyes like their mother, and of course, I hoped that they would love to read history and plays sports like me. On March 20, 1994, our oldest daughter Marisa was born, and Erica came three and a half years later on October 19, 1997. Marisa is the archetype of the oldest sibling; she is smart, responsible, focused, and cautious. From the time she was a baby, Marisa was all smiles, cheerful, and attracted attention everywhere we went. Skipping the crawling phase, she scooted about on her bottom to get from place to place in the house, and suddenly one day she stood up and began walking. Marisa was and still is articulate. As a baby she could use simple words before she walked and, when she was a little older, she could memorize the storybooks we read and appear to be reading them herself. I have to dig deeply into my memory to remember a time when Marisa didn’t talk. Mr. Peralta remarked more than once that, “this girl is going to be a lawyer.” Like her mother, she has fair skin, full cheeks, pretty brown eyes, and a smile that is contagious. She is thoughtful, articulate, a voracious reader with a diverse taste for music, and always ready to participate in a good debate. At about the age of ten, she began to have challenges with anxiety, of which she is constantly learning to manage. A straight “A” student throughout her life, she studies communications at Loyola Marymount University in Los Angeles. Erica has an endearing personality. She’s witty, daring, and playful. At times she could be unfocused due to her artistically creative nature. She was a chubby baby with expressive eyes and a mischievous grin who began to crawl quickly and walk shortly thereafter. It took her awhile to start talking. I even raised concerns that she might be slightly deaf as it runs in my family. But that wasn’t the case. Although she wasn’t talkative as a toddler, you could see her taking everything in and studying the sights and sounds around her. This keen sense of observation gives her a comedic timing that easily attracts people. Together, the four of us are a close-knit unit. I’m a prolific practitioner of nicknames and Sandra and the girls have many, and two have stuck for the girls: Marisa is “Tita” because Erica couldn’t say her name as a baby, and Erica is “X,” a warped progression of “Ericas,” one of my earliest nicknames for her. When Sandra and I aren’t toiling away at an evening meeting, we have dinner with each other every night so the girls could talk about their day at school, complete with the schoolgirl gossip that came as they grew older. Sandra and I share stories about our workday, constantly focusing on the positive outcomes of the challenges we face daily so the girls could see that work didn’t have to be drudgery if they followed their passions. Before Marisa went off to college, the girls fought constantly, only to make up in an instant laughing and joking about inside jokes. Now when Marisa returns for breaks from school, the two of them are the best of friends. Sandra has always been the one to provide discipline and stability in their lives while I’ve been head cheerleader and dreamer in chief. Since they were born, the girls have had me tightly wrapped around their little fingers so Sandra has said that she has to be the “tough” one while I’m the “pushover.” Although overly simplistic, and in dispute like the argument about how I asked her to dance so many years ago, this dynamic has caused the most tension in our house. With their mom, the girls love to shop, cuddle up on a lazy Sunday afternoon watching TV, and tease me about my idiosyncrasies. With me, Marisa likes to talk about music, books, and politics. Erica and I talk about sports and history, and make each other crack up with our silly humor. The four of us enjoy being with each other, whether going to the movies or out to dinner, or just staying home, hanging out and talking nonsense. 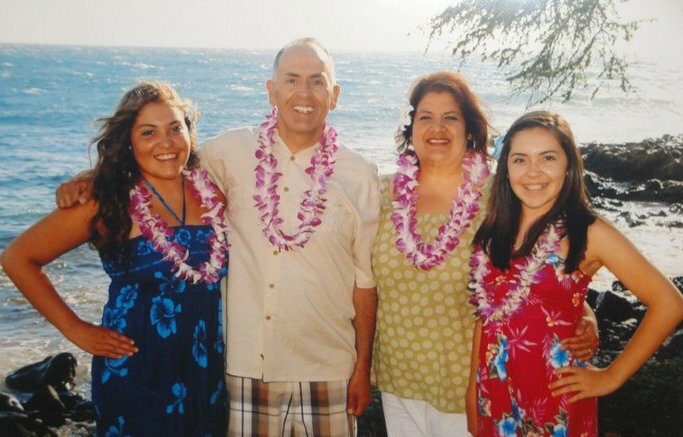 For too many years, our good times together must have seemed like special occasions to my family, because for most of their lives, Sandra, Marisa, and Erica have endured watching me fight demons through my obsessive and passionate pursuit of my ambitions. Sitting in the back of the multi-purpose room at Mt. Pleasant High School in east San Jose on Friday, I reflected on the untapped potential of this dynamic community. The occasion was the annual MESA (Mathematics Engineering Science & Achievement) College Poster Contest. MESA is a non-profit organization that helps prepare educationally underrepresented students to graduate from college with an engineering, science, business or mathematics degree. The college poster contest, one of many MESA programs, challenges students to research a college of their choice, make a poster, and present their findings to a panel of judges. For the past two years, I’ve had the honor to serve as a judge in the high school division. To my delight, the entire afternoon was an east side affair. MESA’s executive director at San Jose State University is a James Lick High School alum like me, the contest coordinator is an Evergreen High School grad, and the students represented east side schools. I was impressed by the meticulous research, creativity and oral presentation skills demonstrated by the students. Two junior girls from Silver Creek High School, who chose to highlight UCLA, made my day. When I asked if they took the A-G class schedule needed to apply to UCLA, one of the girls said, “everyone takes A-G classes,” while the other smiled and nodded in agreement. A rush of emotion washed over me as I remembered the 2010 “A-G” fight at the East Side Union High School District. In 2008, just six of the state’s over 400 school districts that issued high school diplomas required an A-G curriculum. The East Side was like the vast majority of school districts where 90% of the graduates weren’t even eligible to apply to a UC or CSU. During my term serving on the school board at the East Side from 2006-2010, a group of students from the district’s chapter of Californians for Justice (CFJ) were campaigning the school board to make A-G the required curriculum for all students. When I was elected board president in 2009, I joined the CFJ students, their families, and community supporters to fight for A-G at East Side schools by announcing at the annual State of the District Address that I would ask the board to approve an A-G curriculum for all students by the end of the year. The standing room-only crowd in James Lick’s multi-purpose room that night expressed full support for what would be called the A-G Initiative. Together with students, parents, and community supporters, we moved forward nonetheless. The Silicon Valley Education Foundation joined the fight by providing critical resources to educate the public and my board colleagues on the values of A-G. Later that spring, I had a massive heart attack with complications that kept me in the hospital for over 100 days. As I fought for my life in the ICU, the community fought for A-G and higher standards on the east side. The A-G vote was scheduled for the October board meeting and the initiative’s opponents had asked the board to delay the vote and convene a study session to better understand the impacts. Although I was home from the hospital, I was in no condition to participate in the board meeting, so my four board colleagues would determine the fate of A-G. The board ended up deadlocked so both proposals failed to get the required three votes for move forward. A-G was dead. The next day, I confirmed with district officials that I was still board president and could vote by teleconference, so I asked the administration to once again place the issue on November’s board agenda. Student, parents, and community supporters rallied their troops to attend the November board meeting to show solidarity for the initiative. I planned to by on telephone standby until the issue came to a vote. By the night of meeting, I was strong enough to attend and persuaded Sandra to let me participate in the A-G vote. An overflow crowd came to the board chambers on November 18, 2010, to enthusiastically urge the board to vote for the A-G Initiative. After brief comments by each board member, we unanimously voted to require the A-G checklist to be the default curriculum for all students beginning with the Class of 2015. After casting my last vote as a school board member, I turned toward the door behind the dais and walked out of the board chambers for the last time as students and families celebrated their hard-fought victory. That was, and always will be, my proudest moment as an eastsider . We showed everyone that our community valued high standards that night. Last Friday, when the young woman from the Silver Creek High Class of 2015 matter-of-factly told me that, “everyone takes A-G classes,” I smiled, assured that 2010 was worth the fight. Sandra and I rented a small one bedroom apartment in the east foothills, not far from Alum Rock Park and the expensive houses up the hill. She was in her first year as an elementary school teacher and I taught Spanish to pre-school kids at a private elementary school/day care center. It was a job that didn’t require a college degree and paid next to nothing. I also coached basketball at City College and made extra money tutoring the basketball players. We were able to scrape by financially and married life was treating me well. For the first time since I was a teenager I felt a sense of accomplishment and stability, this time without the brashness and bravado of one of the big men on campus. Soon after the basketball season ended, Sandra and I made the decision that I should return to San Jose State on a full-time basis and put my career as a basketball coach on hold until I earned my bachelor’s degree and teaching credential. I had been taking courses at State here and there for a couple of years to meet reinstatement eligibility to the university and to remove the academic disqualification from my record, so I was ready to submit an application for acceptance. When a letter from San Jose State arrived in the mail, I anxiously opened the envelope, read the letter, and let out a huge sigh of relief. My failed academic record had been cleared, and I was officially a college student once again. The next day, a Saturday, Eddie Velez and I were working on a side job with Mr. Peralta replacing sidewalks at an apartment complex, but I wasn’t participating in the usual banter about sports, politics, the weather, and the aches and pains that come with construction work. My mind was spinning with thoughts about my past failures, my new opportunity, and my second, and perhaps, last chance to redeem myself by earning a college degree and pursuing my dream of being a teacher and a coach. Right then and there, I decided that I would work harder than ever in college to stay focused on the prize. Because the acceptance letter arrived just days before classes were to begin, I had to sit in on the classes I wanted to secure a space before I could actually register. It would be a tedious process that required patience and perseverance. With a determination I never had before, I sat in class after class, cajoled professors to allow me to stay, and registered for a full load of classes to qualify as a full-time student. I threw myself into my schoolwork, finishing projects, writing papers, and completing reading assignments ahead of schedule. Early that first semester, I ran into a mental roadblock that could have compromised the entire effort; I realized that I was almost ten years older than my classmates in first year general education courses. I started to doubt myself, I questioned my decision to drop everything to return to school, and I felt out of place as a weathered twenty-seven year old man among bright, young, and eager college students. I shared these sentiments with a professor, Dr. Randall Jimenez, with whom I had developed a good relationship in his freshman communications course. He told me that I had a natural talent for public speaking and using words to persuade and lead others. Then he asked me how old I was and when did I anticipate on finishing my degree, and I responded that I hoped to graduate by my thirtieth birthday. He said with good health and God’s will I would be thirty years old, so I had to decide whether I wanted to be thirty years old with a college degree or thirty years old without one; the choice was mine and mine alone. From that day on I had a laser focus toward achieving success at the highest level possible, as a student and in my future career as an educator and basketball coach. To help Sandra with living expenses, I spent the next three years tutoring freshman for the professor’s public speaking courses. I ran into Dr. Jimenez two decades later, and with a bear hug and heartfelt smile, he mentioned how happy he was to see me, and that he had followed my career and medical problems in the newspaper. I reminded him of and thanked him for the wise words he imparted on me that day early in my return to college. He thanked me for listening because he knew that I would use my gift for public speaking to make an impact in people’s lives. His wise advice twenty-one years before sent my college career and the professional life that was to follow into high gear. For the next three years, I was a full-time student and part-time homemaker. After that first semester, I met with an advisor on campus, selected history as my major, and mapped out the schedule of classes I would need to graduate by the time I was thirty years old. At home, in between reading and writing assignments, I washed clothes, kept our little apartment clean, and experimented making different meals so dinner would be ready when Sandra got home from a long day with her students. More often than not, my experiments would go badly and we would end up at one of the mom and pop restaurants or fast food joints that dotted our new neighborhood. In addition to my studies and tutoring for the professor’s public speaking courses, I worked as a referee for intramural sports at San Jose State and tutored a neighborhood kid to further supplement Sandra’s teaching salary. I was absolutely dedicated to my studies, devouring books faster than professors could assign them; reading in the laundry room at our apartment complex or at the kitchen counter while preparing another disastrous meal. 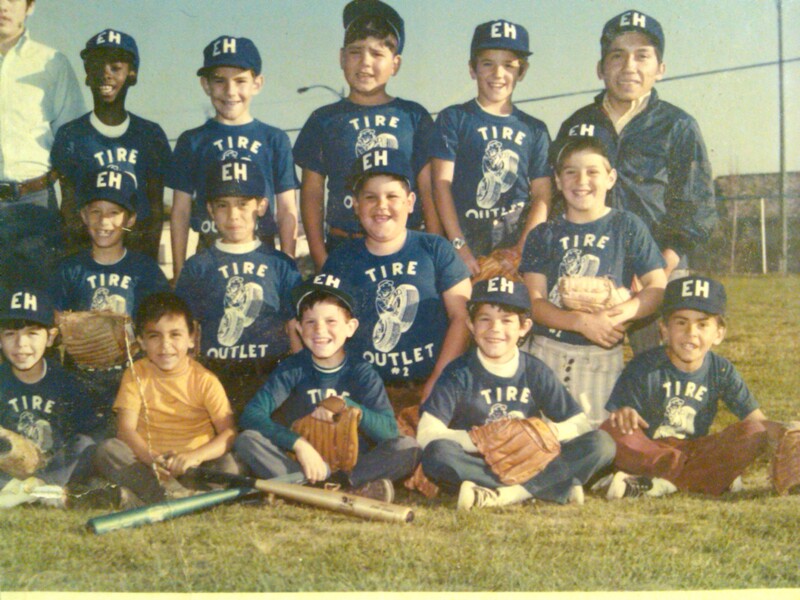 I got the “Throwback Thursday” bug last week on Facebook and posted a photo from 1971 of my first little league team, Tire Outlet #2. Those were the days when sponsors were team names, rather than a using the name a professional major league team. Rich Archuleta, an old friend from those days, commented on Facebook that I “really brought back a flood of memories with this picture.” Boy was he right! I played baseball at East Hills Little League in east San Jose for six years from 1971-1976. It was an era before parents saw youth sports as a ticket to a college scholarship, glory, and potential riches as a professional athlete. As a little leaguer, there was no pressure to meet with a batting coach for weekly lessons at the batting cage, compete on a travel team, and equip ourselves with the best high-tech gear available. We just played baseball. During those six years, we were Tire Outlet #2, Imwalle Farms (there was a giant red and white pumpkin on our red-sleeved jerseys), and the East Valley Lions Club. My last season, when I was 12 years old, I was the winning pitcher in the major division championship game. There were no full uniforms (until the major division), bat bags, cleats, or customized gloves and helmets. Baseball has always been part of my life and playing at East Hills Little League started that lifelong love of our national pastime. I still remember the day that my mom took me to register for little league at August Boeger Middle School. The registration fee was $5.00 and a book of S&H Green Stamps or Blue Chip Stamps. For that fee, we got a baseball cap with “EH” in block letters across the front, a shirt, and a 20-game schedule. I was placed in the “Red” organization. Due to an ordering error, we wore blue shirts that first year. The Red teams were a family affair led by the Marquez Family. Phil Marquez, Jr. was our manager, Mrs. Marquez was team mom, Larry and Ernie “Nesto” Marquez were our sluggers, and Mr. Marquez, a deacon at Guadalupe Church, was head cheerleader in charge. Junior was a great coach who has stayed involved with youth baseball or softball for 40 years, winning championships at every level including varsity softball at Mt. Pleasant High School. He’s a true east side legend. Opening Day always started with a parade that wound its way through the east side from Payless Drug Store on Capitol Avenue to the league’s fields. Dads who had pick-up trucks carried the players and honked horns as the procession slowly drove by neighborhoods. Once there, the teams would file onto the major league division field that had a dirt infield, home run fence, electronic school board, and pitching mound. The little kids couldn’t wait to play on that field. While I’m sure we all had dreams of playing in the Big Leagues, that wasn’t the goal. The reason we went to practice every day was to play ball. Some of us went on to play in high school, a few others played in college, and one kid made it to the majors. Kenny Williams played for the Chicago White Sox and later became the franchise’s general manager. I’ll never forget watching Kenny on TV, as general manager, when the Sox won the World Series in 2005. Although I’ll never know what it’s like to be a major leaguer, I made long-lasting friendships playing baseball. I stay in contact with many fellow little leaguers and high school teammates are still some of my closest friends. Rudy Bryand, my boyhood friend and best man in my wedding, and I met playing sandlot baseball during lunchtime in middle school. He sat by my family’s side for 100 days when I was in ICU fighting for my life. My dad shared my passion for baseball and taught me how to pitch and play the infield. He never missed a game from little league through high school. He took me to my first major league game in 1971 to see the Dodgers play the Giants at Candlestick Park. I can still name the starting line-up from that Giants team that included Willie Mays, Willie McCovey, and Juan Marichal. I wanted to pitch with a high kick like Marichal, and I made the sign of the cross before batting like second baseman Tito Fuentes. That passion has now passed onto my family. When my daughter Erica played little league, I managed the team, Sandra helped me stay organized, and my daughter Marisa was the Director of Equipment Management, my fancy name for the bat and ball girl. 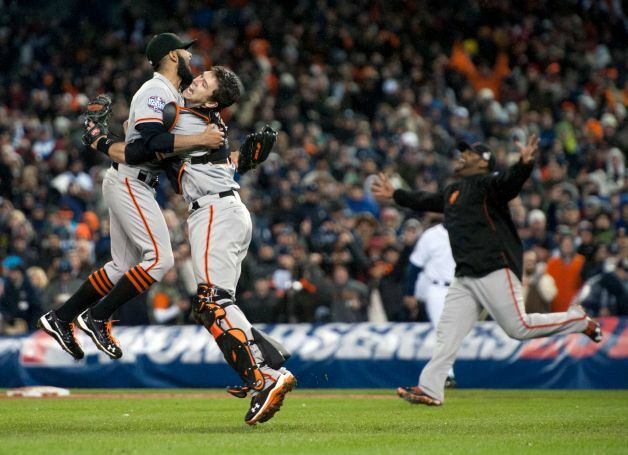 When Edgar Renteria hit a home run to give the Giants their first World Series win in San Francisco, the four of us were together hugging and high-fiving. Posting that photo reminded me about the important things in life. For me, playing baseball wasn’t a means to a college scholarship or a profession. Baseball gave me a common bond with my dad, a bond that has extended to my daughters. Baseball has been the centerpiece of many lifelong friendships. And it all started on the fields of East Hill Little League. The García and Peralta families came together to celebrate our wedding day on November 17, 1990. With Sandra’s support and the foundation created by this tightly knit family environment, I slowly began to emerge from the abyss of failure. The fall we began dating, I applied for and accepted a position to coach the frosh-soph boys’ basketball team at the high school across the street from Most Holy Trinity Church. I worked well with the student-athletes and the school administration further convincing myself that college and a career in education was my path to redemption. The next year, in a sudden twist of fate, the head basketball coach at my alma mater resigned just weeks before the season began, so my return to college would have to wait because James Lick High School hired me to run its basketball program, which included a full-time job as an instructional aide. The values I learned at 48 Viewmont Avenue served me well as I worked hard to rebuild a program that had won only two games the year before. By the end of my second season, we had won half our games in the regular season and recorded a 12-2 record at the San Jose City College summer league, losing in the championship game to a county powerhouse. That same summer, James Lick High School honored me with the school’s coach-of-the-year award and legendary San Jose City College basketball coach Percy Carr asked me to join his staff. Despite these successes, the hard facts continued to haunt me: I had failed at college, the coaching positions were part-time with no real conduit to a stable career, and the bright lights of success as a coach merely covered up the reality of my disappointments. Although my relationship with Sandra was growing and getting stronger, I would regress into my self-loathing through an occasional weekend drinking binge with Rudy, thus setting back whatever gains I had made with Sandra in strengthening our bond. As much as I loved Sandra and as much as I desired to get back on track with my life, the dual demons of perceived success as a coach and actual failure in life continued to keep me from moving forward. As time went by, and as our bond grew stronger, the binges became less frequent and I began to fight the demons by working harder. 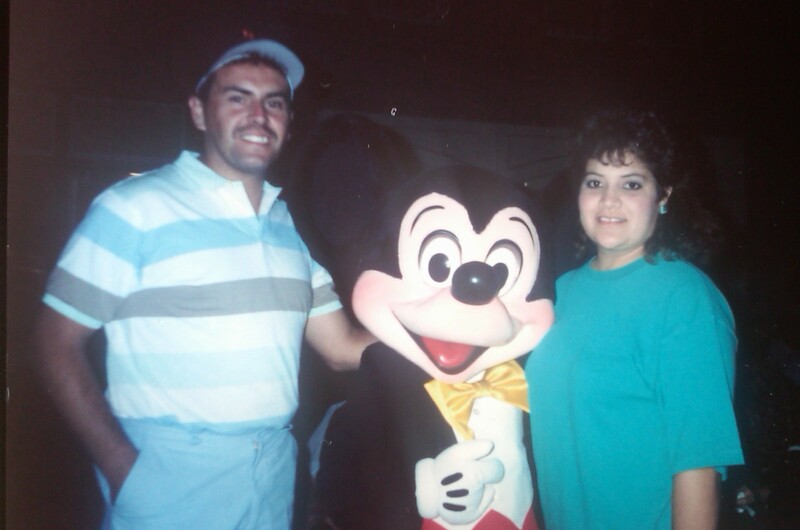 On Valentine’s Day in 1989, while still coaching at James Lick High School, I made the first decision I had ever made toward true adult responsibility. I decided to ask Sandra to get married. I called Kimberley that morning and asked her to meet me in front of Milen’s jewelry store as I wanted her advice on choosing a ring. I picked out a one-quarter karat marquis solitaire diamond engagement ring, placed it in the velvet box provided by the store, and went to coach that afternoon’s practice as usual. After practice I called Sandra from the coach’s office and asked her if she want to get something to eat without telling her where we were going. When we rolled up to the drive-in service at Mark’s Hot Dogs, Sandra mentioned how she was surprised because we hadn’t been there since that first awkward date almost four years before. We ordered a couple of hotdogs “with everything on it,” chips, and two diet Coke’s, and when the server left the food on the tray that hung from the driver’s side window, I slipped the velvet box next to our order. I first gave Sandra some napkins that she carefully spread on her lap and followed with the hotdog, chips, soda, and finally the velvet box all in one swift motion. She took a small bite of the dog, paused, and turned her head toward me with a puzzled look on her face, and asked, “What’s this?” I opened the box and asked her to marry me. To my relief, she smiled and her eyes welled up with tears of happiness and she said “yes.” Soon we were on our way to Santiago Avenue so I could formally and properly ask her parents for permission to marry their daughter. The next year and a half was filled with work (I continued to work as an instructional aide at James Lick after I accepted the position of assistant basketball coach for the nationally-ranked San Jose City College team), my coaching responsibilities, and preparations for a wedding. In addition to organizing wedding plans, Sandra completed her studies at San Jose State and began working toward a teaching credential. On November 17, 1990, our families and five hundred of our closest friends celebrated our traditional Mexican American wedding at Most Holy Trinity Church. Rudy was best man and Kimberley was maid of honor. When the double doors at the end of the main aisle of the church opened and I saw Sandra for the first time in her wedding gown, I immediately knew that I had made the best decision of my life. The reception was traditional as well with barbacoa (spicy Mexican shredded beef), rice, beans, and tortillas for dinner while mariachis and Mexican folkloric dancers entertained guests. For our first dance as a married couple, at our request, a four-man Tex-Mex band, my favorite genre of Mexican music that includes an accordion, twelve-string bajo sexto guitar, bass guitar, and drums, played the standard ranchera song “Un Rinconcito en el Cielo” (A Little Corner of Heaven) made famous by Mexican musical legend Ramon Ayala y Sus Bravos del Norte. Like everything in which Sandra organizes, the entire day and evening were the result of meticulous planning and execution. We left San Jose the next morning for a three-day honeymoon in the Sierra Nevada Mountains at Lake Tahoe. The trip was brief so I could return for the rest of the City College basketball season. A new chapter had started for both of us; for Sandra it was the next step in her carefully thought-out life plan and for me it was a positive step toward my efforts to unravel the complicated life I had created for myself.